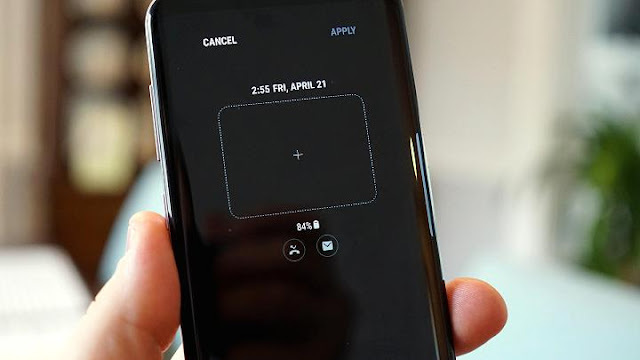 Home » How To » How To Customize Galaxy S7 / S8 Plus Always On Display (AOD)? 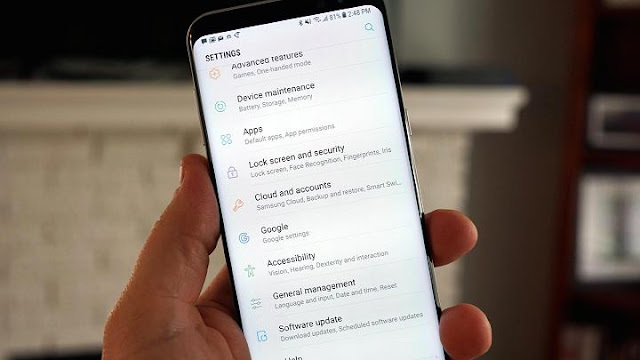 How To Customize Galaxy S7 / S8 Plus Always On Display (AOD)? 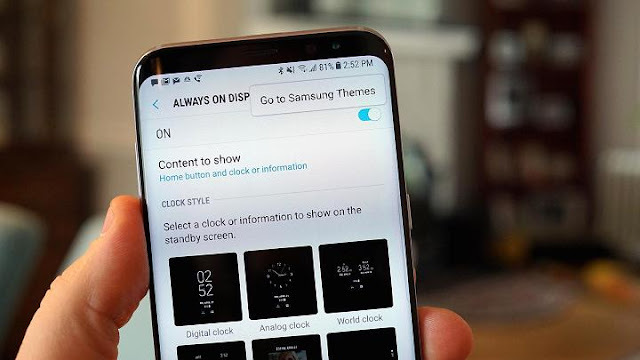 Always On Display of the Samsung Galaxy S8 / S8 Plus and S7 Edge is the most prominent and most highlighted feature that has got the attention of the tech enthusiasts globally. 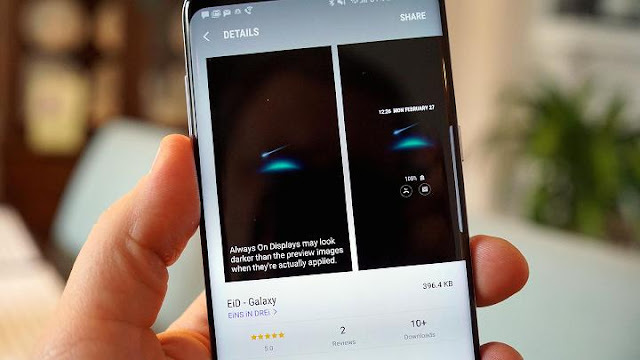 This rating of the Always On Display of these smartphones is because of the fact that even the screen is off, it isn’t really off. 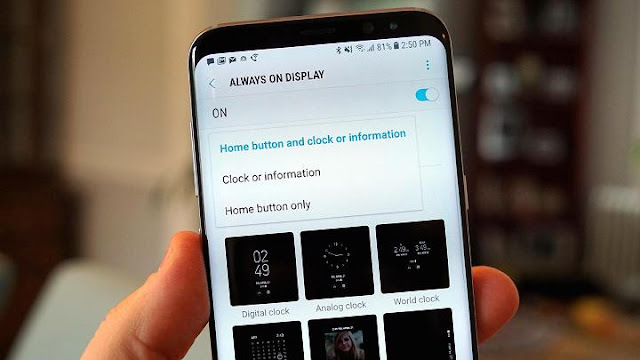 The Always On Display feature can show the useful information to the user at a glance so that they do not have to turn their phone “On” to check the notifications etc. It is a neat tool that can be customized further to get the most of the things out of it. So, if you have got one phone with Always On Display, here’s how you can use and customize it. From there, navigate until you find “Always On Display” option. Let’s see what’s in there. You can choose to display clock, information or just the home button, from there. There is also an option to set your own picture or of your loved one from the gallery on the Display screen. You can also choose from the different styles of the clock to show on the screen. Or you can just have your calendar. For this, from the “Always On Display” page choose “Image” to set a custom background. You will see a rectangle, tap that to choose your photo. Not only this, you can also go to the online “Samsung Theme store” to get some of the amazing themes for your Display. For this, tap the “three dotted menu” button on the top of the “Always On Display” screen. Samsung Theme Store will offer you some very cool for free or for a couple of bucks. After these little tweaking things, you will get to customize your screen the way you like. So, customize your Always On Display Screen of your Galaxy S8 Plus or S7 Edge and thanks me later!